The AUMega 432 Hz Music Revolution uses the number harmonics of the Sierpinski triangle sum row values (like 8 Hz and 256 Hz), and the Sierpinski pentahedron numbers (also the golden ratio numbers evident in the DNA) — on all levels of musical mastering. Utilising Sierpinski manifold numbers in the Do (tone C) scale from C 8Hz to Do 256 Hz (“A=432 Hz”, or La=432 Hz), and using Sierpinski Pentahedron numbers & Golden Mean numerals in the tempo (like 72 BPM, the heart cardio-rhythm in love) — the 432Hz Music Revolution, in its true AUMega form, advances the coherence and quality of music (especially when studio quality sound is made available to the end user [UPDATE: the http://432hz.com, music platform is making this available]. We also use these harmonic numbers in every component of mastering, whilst 8 Hz is set in most of the instruments and drums in numerous ways. 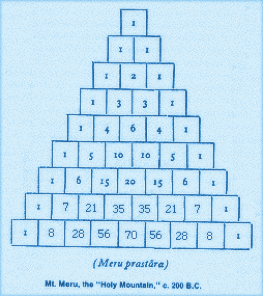 The Sierpinski Triangle is considered to be one of the best examples of self-embedded reciprocal order and fractal form. 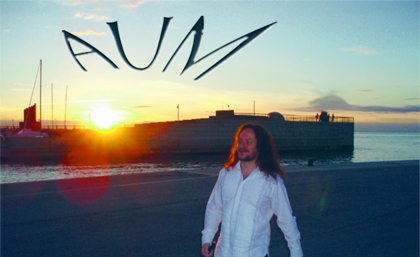 It directly relates to AUM Harmonics used in the 8Hz/432Hz AUMega Music Revolution. 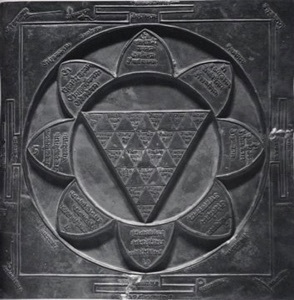 In the proto-Vedic super culture of the Sarasvati Valley (some 11,000 years in antiquity, according to the New Delhi museum), one finds the geometry of Sierpinski both in Yantra form and in pyramidal Fire Alter chronomonitors (Agnihotr). These are a KEY in 432Hz Tuning in archaic times. 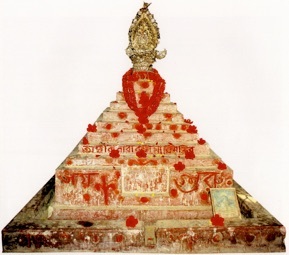 In its 3-dimensional form it is called the Meru Prastara, and which is a Sierpinski octahedron, or Sierpinski Pyramid, time measuring geometries found in the 11,000 years old archeology of the Sarasvati River valley culture (Pakistan, and Rajastan). Keys to OMega 432Hz Music. First 8 spheres, forming into an 8 Petal Lotus, itself surrounded by a 16 petal lotus (following Sierpinski manifold: 2-4-8-16-), and then the 27 lines of the 9 Sierpinski interlocking triangles completing the 44 micro-triangular array. 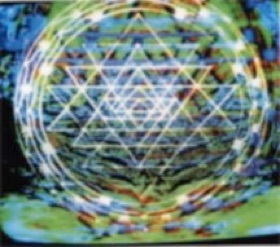 As the ancients ascribed to the Sri Yantra the AUMkara, described to be the universal ordering machine, or universal computer of ‘Silent Sound’ AUMNADA, modern science has rediscovered the sonic wave form shape of AUM in sonic media. Thereby, mankind going “on-line” with the galactic disco-tek [& Universal Dance Floor of Universal Tempering, via 8Hz & 432Hz Tuning, with circadian tempo’s like 72 bpm, 144 bpm, 216, and 288 bpm]. 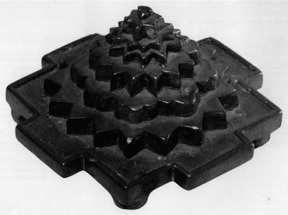 The Buddha-Kaya, or “Buddha Body” is clearly defined as one of harmonic sound, based on both the golden section AND the 9 Sierpinski triangles interlocking overlay. Holds secrets of AUMega-OMega 432Hz Music Tuning. Thus, the Buddha’s are sphere harmonics, or compositions of coherent sounds, reciprocal to the DNA’s helical 36° coiling, and the coherent fractal nature of the universe. 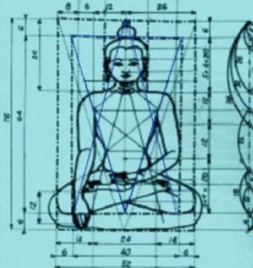 In the above analysis, the grid constructing the Buddha-Kaya is formed upon the golden triangle (72°), and the pentagon (whose cascade is 36°). Thereby, the DNA’s 72° of double helical twist per base pair of 4 coding nucleotides, is encoded. Seven 72° golden triangles chart the golden spiral whose transience is so coherent as to have infinite recursion: forever. The Golden Immortal principle of the universe. 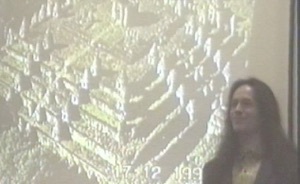 Our seminars present in-depth keynote multimedia animations of these principles in an utterly unique and novel manner. Here is a bare minimal glimpse. The underlying fundamental particle hypergeometry in light of the novel new science called hadronic mechanics and its hyper-relativity are explored in our web book The All-One Hadron Materia (AOHM). INTRO: The answer is simple. 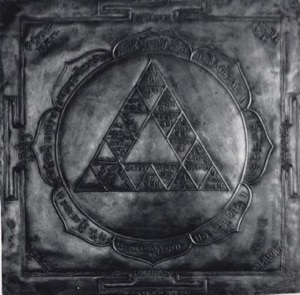 The Sri Yantra AUMkara sonic signature produced by the trinal sounding of “A-U-M”, as recorded by Dr Lawrence Blair, is composed of 9 interlocking Sierpinski Triangles. The Sierpinski triangle and Sierpinski pentahedron are the foundation of AUMega Music, and are the organisational geometry of the universe.